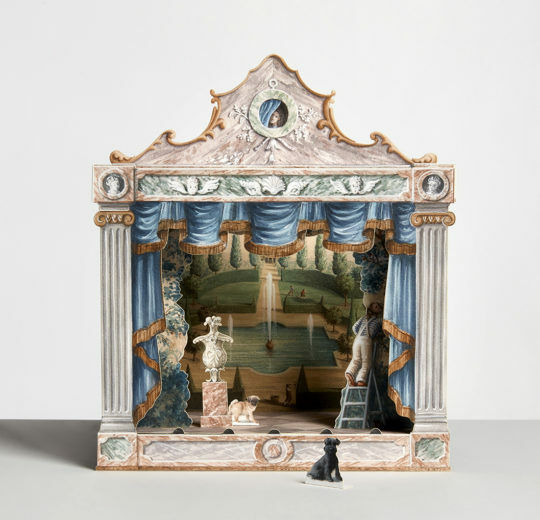 A miniature wooden theatre from the Commedia Dell ‘Arte. 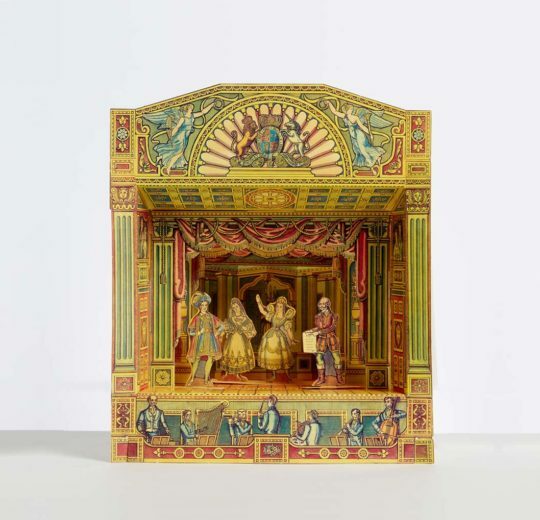 Handmade in Italy for Benjamin Pollock’s Toyshop, this stand alone theatre with one character will adorn a mantelpiece or shelf as a momento of Covent Garden. Characters may differ from the one pictured. 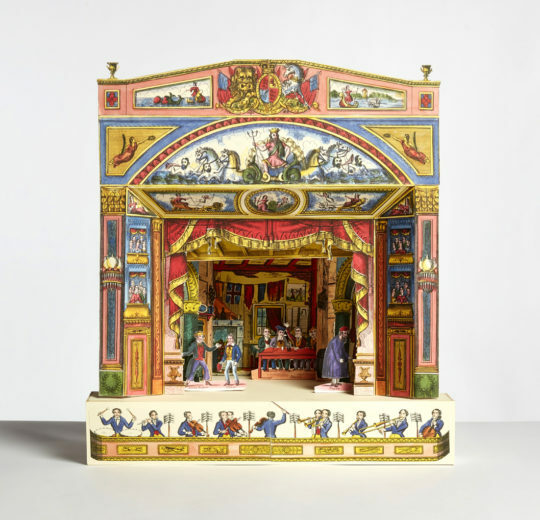 A form of popular theatre that arose in Italy towards the end of the Renaissance. 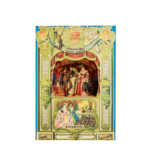 The first recorded professional Commedia Dell ‘Arte troupe emerged in the mid 1500s. 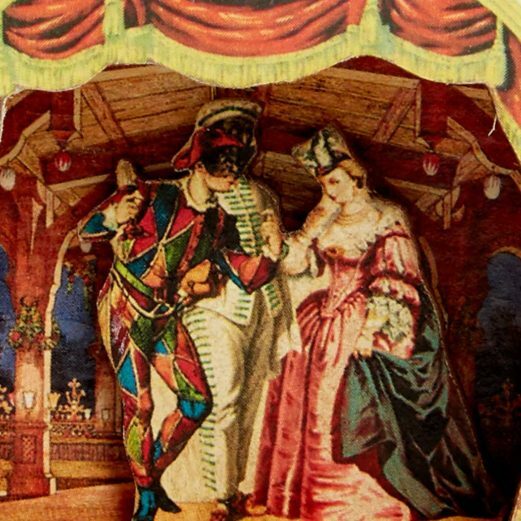 The actors wore masks and told their comedies and tragedies through improvisation and scripts using stock characters – Harlequin and Columbine, Pulcinello, Pierrot and Scaramouche to name a few. 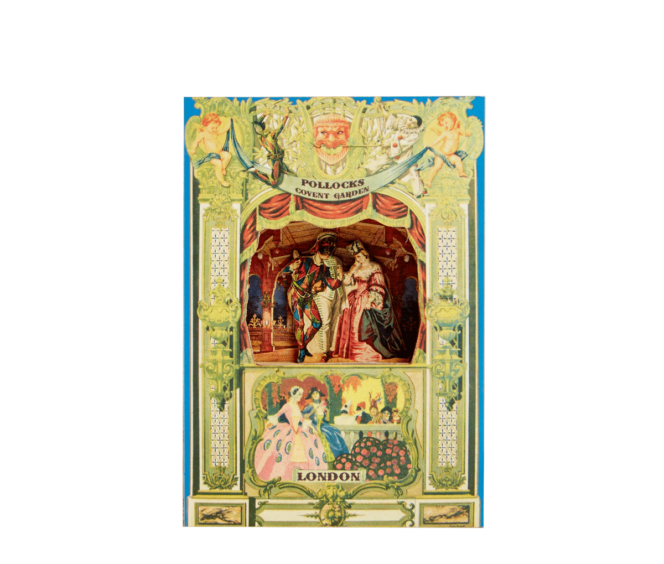 They often performed outside in a piazza and they contributed greatly to the evolution of ballet, opera, pantomime, puppet and marionette shows. It flourished across Europe up until the end of the eighteenth century although the techniques and influence on the visual arts continue up until today. 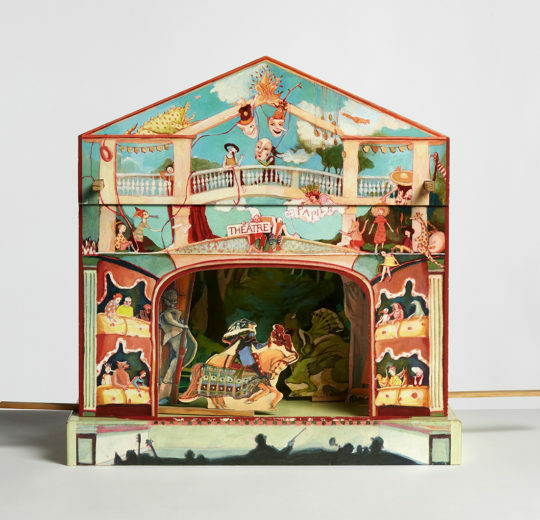 From Shakespeare to Picasso, Watteau to Hockney, Mozart to Bowie – the characters of the Commedia Dell Arte can be seen in theatre, film, music and art.